Wow!! Last week's Frugal Friday party was amazing!! So many wonderful projects you all shared...and tons of great furniture redos (especially hutches this week...you all must be on the same wavelength). I had a great time looking through the posts, and a really hard time narrowing down what I was going to share with you today. 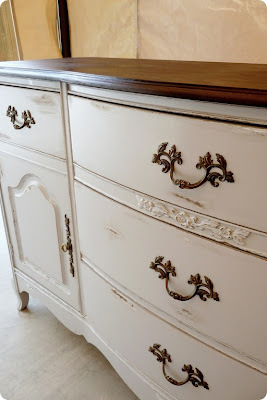 First up, Primitive and Proper shared a pretty French cabinet redo...you know I love me some gray furniture. And speaking of gray furniture, Twice Lovely rehabbed a pretty old sideboard. Love it! Beautiful Nest shared her painted vinyl kitchen floor. Such a great idea! One of the amazing hutch redos from last week was shared by The Bethencourts. I ADORE this hutch. Want. it. too. much. 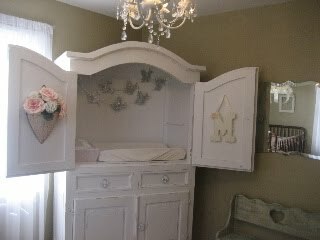 And finally, Edge Designs shared an entertainment armoire turned charming changing station. What a darling idea!! If you missed the amazing event that was last week's Frugal Friday, do yourself a favor and click here. You can thank me later. Just sayin'. that hutch is to DIE for. I. LOVE. it! Oh. me. oh. my!!! wow! thanks for featuring my armoire among all these fantastic projects- love those floors!!! Hi I'm your newest follower! I found you through Frugal Decor Mom. I love that you do Frugal Fridays, I will have join up this week! Oh, Wendy! 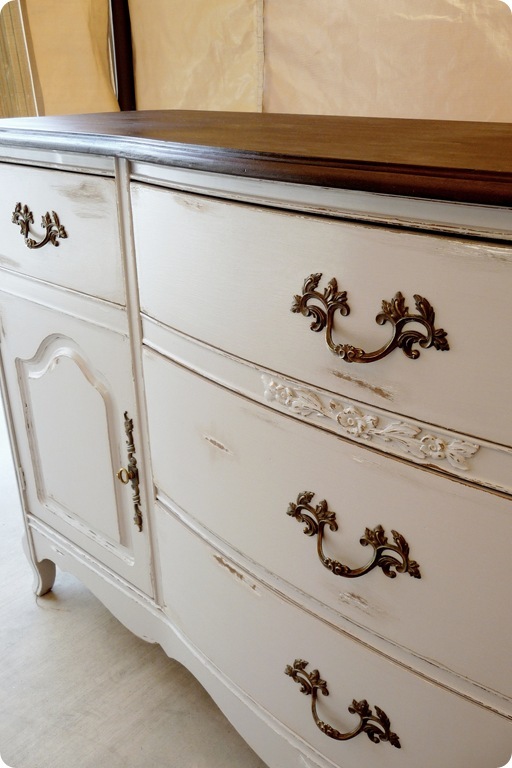 Thank you so much for featuring my hutch! So honored!! :) I just squealed my hubby's ears out!